Despite the slanderous imprecations of Sherlock Holmes, who shares an amusing prologue with him, Professor James Moriarty not only isn’t “the Napoleon of modern crime,” he’s an eminent mathematician who’s available for a delicate diplomatic mission to 1891 Vienna. Moriarty’s charge is to rescue the son of the Duke of Albermar, who’s gone undercover as “Paul Donzhof” to infiltrate the Secret Society for Freedom, when he’s arrested and accused of murdering his mistress and assassinating a titled cousin of Emperor Franz Joseph. And while Moriarty is in Vienna anyway, one of his confederates tells him, he might as well rescue a pair of his friends who have been imprisoned by Graf Sigfried von Linsz because he suspects they know too much about a nefarious plot his own friends are hatching. 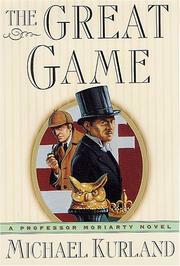 Since von Linsz has also kidnapped an American cousin of Holmes’s, the great adversaries will meet as allies in an attempt to free their intimates, foil an unlikely coalition of anarchists (interesting idea, that), and take turns with the rest of the cast—all disguised under layers of false identities to spy on each other—in dazzling impressionable audiences like Dr. Watson with parlor-trick inferences. But both Moriarty and his nemesis are outdone by real-life criminologist Dr. Hanns Gross, who describes and attributes Freud’s theory of the Oedipus complex ten years ahead of his source. Kurland (The Girls in the High-Heeled Shoes, 1998, etc.) provides foolish period entertainment that, unlike even its most minor characters, means no harm in the world.